"A man’s own folly ruins his life, yet his heart rages against the Lord." When I first read this, I thought it was referring to unbelievers. I pictured a man in a gutter somewhere shaking his fist at God for how his life turned out. But I quickly realized that Christians can be guilty of this too. We can be guilty of blaming others, God and even the devil for our circumstances. I’m not saying that there is never any merit to accusations of blame, but I would argue that more often than not, the situations we find ourselves in are our own fault. Proverbs tells us that “a man’s own folly ruins his life, yet his heart rages against the Lord”. Let us not be like that. God loves us and wants only what is good for us. Let us not be guilty of blaming him for bad things happening in our life, because we may find that many times the blame should fall squarely on us. 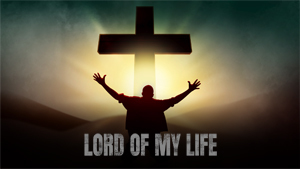 “A man’s own folly ruins his life, yet his heart rages against the Lord”. Remember that not everything bad that happens in your life is the fault of someone else. Sometimes it is our own folly whether we want to admit it or not. That said, there are cases where someone else is to blame. But in either event, we should never have our hearts rage against the Lord. He is God and we are not. And to blame him for our folly isn’t only false, it also challenges his sovereignty.